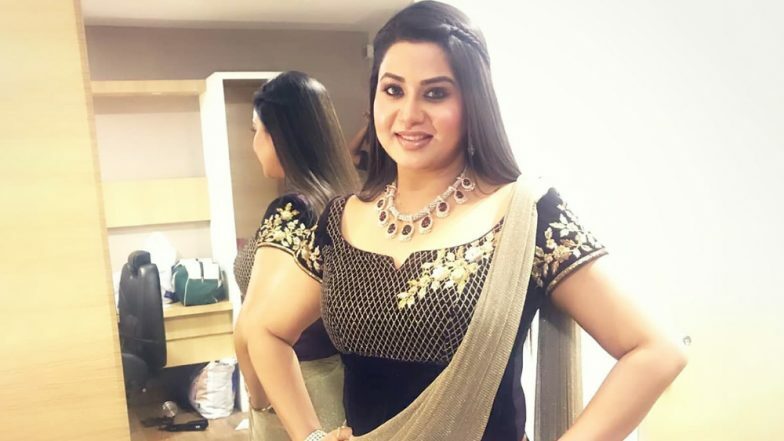 Malayalam actress Sangeetha Kris is back in the news ever since her mother alleged the star throwing her out in the old age due to property disputes. The actress has now hit back at her mother in a tell-all post on Twitter. The actress has alleged her mother of exploiting her and making her sign blank cheques and many other things in her post. Sangeetha is married to playback singer Krish and was recently caught up in the news following her mother's statements. While her mother accused Sangeetha of snatching her property, the actress has now responded clarifying her side. In a long Twitter post, she wrote about being exploited by her mother from the age of 13 and how she was forced to work for the comfort of her brothers. She also lashed out at her mother for not supporting her for her marriage and cornering her. Shah Rukh Khan Has Already Given Thumbs Up To Atlee's Two Scripts? In the post, Sangeetha wrote, "Dearest Mom, Thank u for bringing me to this world. Thank you for pulling me out of school & making me work from the age of 13.Thank u for making me sign in all blank cheques.Thank u for exploiting me for the comfort of ur Alcoholic & drug addict sons who never went to work their entire life.Thank u for cornering me inside our own house for not budging to ur decisions. Thank u for not getting me married until I fought my way out.Thank u for constantly disturbing my husband & thereby spoiling my family Peace." Sangeetha, despite facing a lot of opposition from her family, got married to singer Krish in 2009. The couple has been blessed with a baby girl in 2012. While sharing this post, the actress also thanked her well-wishers for their constant support and further even mentioned that it is not easy to be an actor.